Celeriac is very much used in France and the "remoulade" is a dish that is as old as the oldest stones if the country probably (although I have not verified that fact...). It is a very simple salad made of grated celeriac, a very mustardy mayonnaise. This is THE tip, as all the teachers at cookery school repeat "il faut mettre beaucoup de moutarde! ", in other words put a lot of mustard. The only thing is I don't like mayonnaise, I don't like that there is egg and so much oil in it. So I came up with this option: using yogurt. This not only healthier (in that case it means not as fat) but a lot quicker and easier! As I don't eat much dairy, I used soy yogurt but feel free to use normal yogurt. 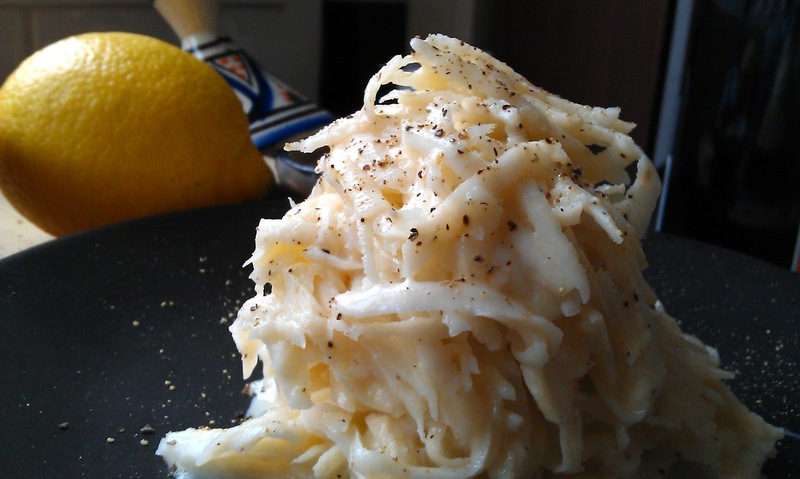 Peel and grate the celeriac. Put it in a salad bowl and pour the lemon juice over, some sea salt and mix well. 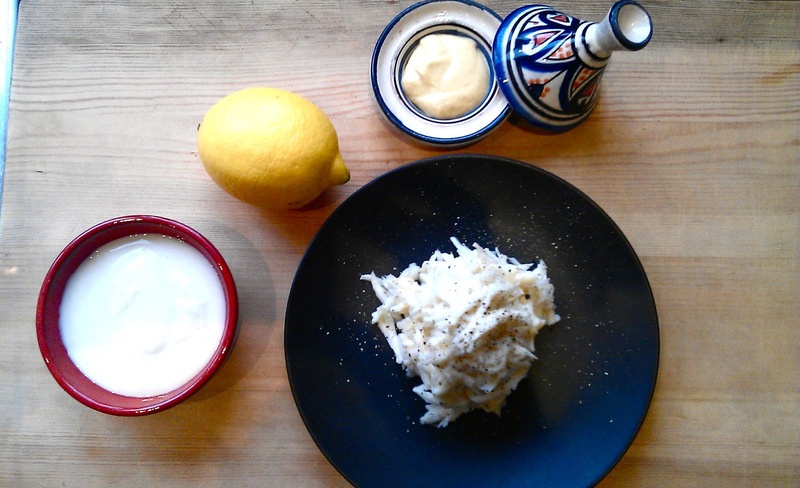 The lemon juice will prevent the celeriac to go brown so don't miss that step! 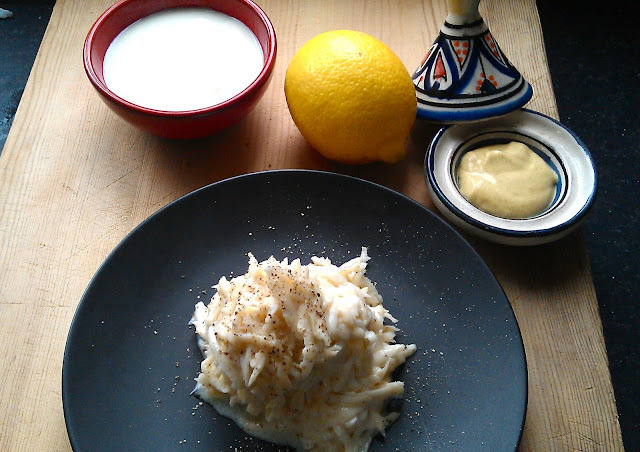 To make the dressing simply mix the yogurt with the mustard, olive oil, salt and pepper. Pour the dressing over the celeriac and mix well.